Steven Fishbane is the chief of nephrology of Northwell Health and Professor of Medicine at the Zucker School of Medicine. 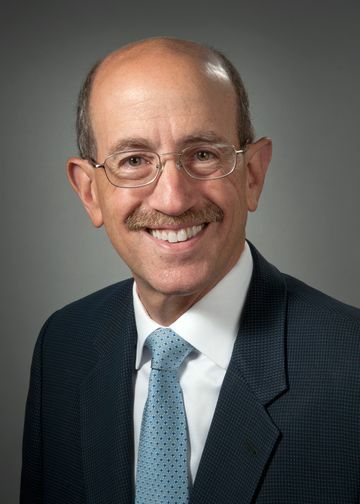 As a nephrologist with over 23 years of clinical experience and over 22 years as a medical researcher he understands and has studied many of the issues involved with patient hospitalizations, readmissions, complications of chronic kidney disease (CKD) and issues with decision making related to end stage kidney disease (ESKD). An important part of his training has been as medical director for 5 different dialysis facilities and as Medical Director for the Healthy Transitions in Advanced Kidney Disease Program. He has been the recipient of multiple honors and holds several appointments, including to the National Quality Forum’s Standing Committee of Admissions and Readmissions. Through his clinical research, Dr. Fishbane has become renowned for advancement and innovation in the treatment of CKD patients. Dr. Fishbane received his MD and trained in nephrology at Albert Einstein College of Medicine. He has worked as a medical researcher for over 21 year, and has over 183 peer reviewed publications. Fishbane S, Masani NN, Hazzan AD. “Should target hemoglobin levels in dialysis patients be lowered to 9-10 g/dl?” Semin Dial. 2014 May-Jun;27(3):282-4. doi: 10.1111/sdi.12211. Epub 2014 Mar 25.